Peña-López, I. (2019) “Article. 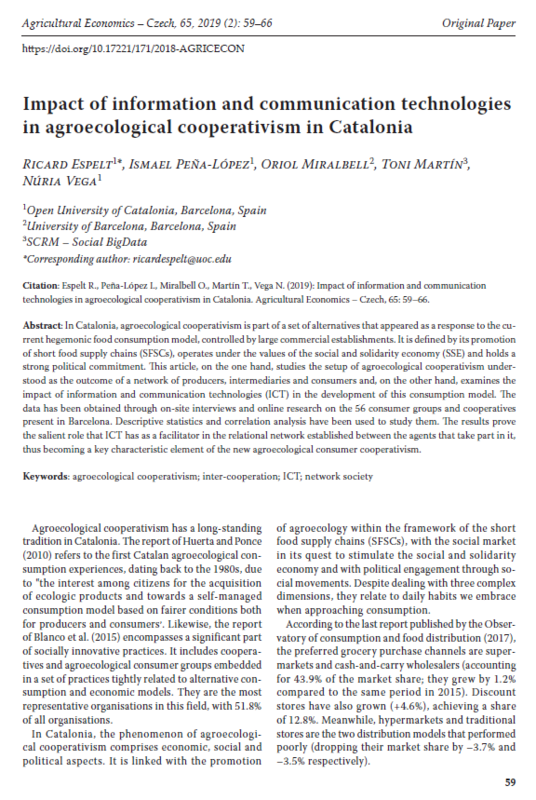 Impact of information and communication technologies in agroecological cooperativism in Catalonia” In ICTlogy, #186, March 2019. Barcelona: ICTlogy.